You’ll be happy to know it’s a full circle moment. Now here’s what I’ve learned. I’ve been managing strategic partnerships since 2001. 18 years, well that’s sobering. Back then, I really had no idea what I was doing exactly, except to inherently know every relationship was important. And every relationship was equally important. In sales, they teach you to get to the decision maker, but what gets lost in translation is they don’t teach you to treat everyone like the decision maker. But they are. They are the decision maker to your next step. When I arrived to the world of business ownership, I took this skill set and applied it successfully. Outward. Meaning with potential clients, partners, and anyone outside my business. But I did not naturally think about applying it inward with my team. Team development was not even on my radar. I mean when you first start a business it’s all hustle – to get out and market your product/service and close the sale. But once you start to see consistent revenues and profitability is a possibility…you start to outsource and grow your team. This is the moment where your focus needs to turn inward to team development. I realize this is so difficult. You’re exhausted. Hiring is supposed to provide relief and yet the team needs you just as much if not more. Now here is really the MAIN POINT of my musings…. Employee. Contractor. Part time. Full Time. Project work. It’s not the financial relationship that determines what an individual joining your team and company culture needs from you, it’s the human element that determines their need. And they are all humans. Let’s loop this back to Corporate leaders too. Regardless of the level within your organization and the number on their paycheck; the human element determines their need. And they are all humans. SIDE NOTE: Want more on this topic? Joe Calloway just published a new book called The Leadership Mindset: How Today’s Successful Business Leaders Think. Love that it’s a quick read and spot on with regards to being an effective leader. Meet with your entire team – once per month is recommended. This is a great time to reinforce culture and values, provide updates on key initiatives to keep everyone on the same page and celebrate together. Meet with your core team – I think of your core team as the leaders within your organization. I recommend a weekly sync up on key initiatives and make time to discuss challenges. Meet with individuals – beyond the work they are doing for your company, it is important to understand the hopes, dreams and desires of each individual on your team. 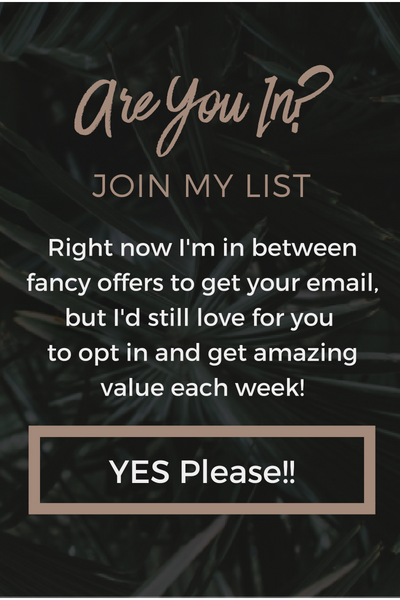 A new favorite question I added to my list after digging in to Wisdom at Work by Chip Conley >> How can I support you to do the best work of your life here at XYZ company? Yeah, that’s a lot of time. But it’s so worth it. 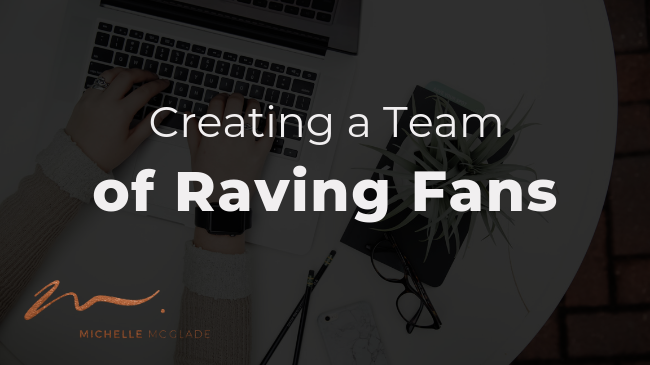 Creating clients who are raving fans will no doubt serve you well, but developing a team of raving fans will make you unstoppable.